The display of the of racial and tribal conflicts is shown in the province of Darfur, The director Tagred Elsanhouri displays the fight between the Janjaweed (Government troops recruited by Arab tribes) and the Non-inhabitants of the region. 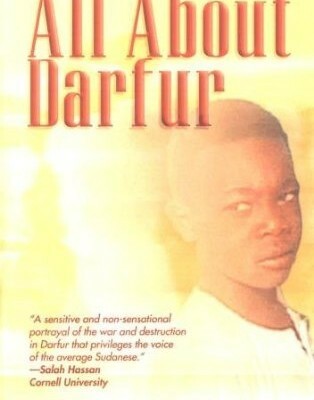 “All About Darfur” . California Newsreel, 2005. Michael Kevane, "Review of All About Darfur, documentary film produced and directed by Taghreed Elsanhouri, distributed b California Newsreel, 82 min." Jegede, Tolu. “The Scramble for Africa—Darfur Intervention and USA , Steven Fake and Kevin Funk.” Africa Today 56.4 (2010): 94-95. Web. Wole Sayinnka. “The Avoidance Word Still Screams Its Name: An address to the “50th Anniversary of the 1st International Congress of Black Writers and Artists.” Transition, Issue 97 Volume 13, Number 3. 2007.